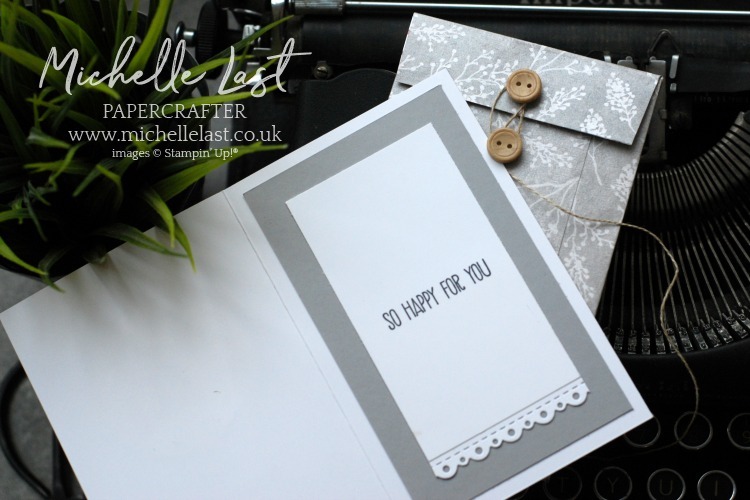 I have a new home card to share with you today. I really enjoyed making this and pushing the boat out to make something extra special. I have a friend who is moving house today. It is a big deal and I wanted it to arrive on the day she moves in so I had to make it extra special. I added some layers of smoky slate cardstock which I cut into undulating layers and inked the edges with a dauber and basic grey ink. The landscape on the horizon was mounted on dimensionals to give some depth and dimension. I cut a stitched circle using the Stitched Shapes framelits and then cut a circle inside using the Layering Circles Framelits in whisper white cardstock. I cut a smoky slate scalloped circle using the layering circles and cut a circle inside. 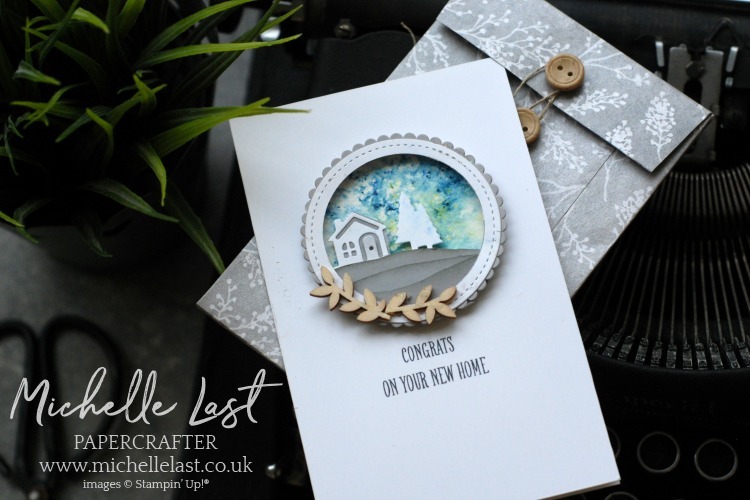 I layered the scallop and stitched circle and glue the landscape using a combo of dimensionals and tombow. 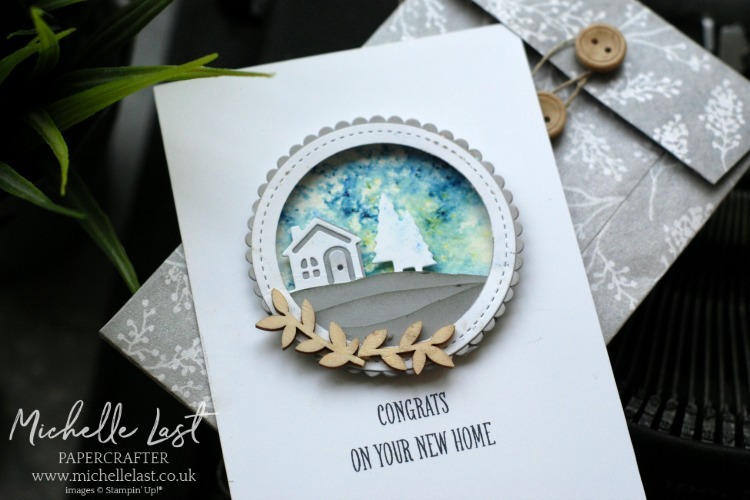 I added some wooden frames elements to the circle frame and stamped the greeting using the At Home With You stamp set and the Stamparatus. Here is the inside of the card. I had a little fancy die cut trim from the Bouncing Baby Framelits which I added. I have having so much fun I could not stop there so I made a custom envelope too! 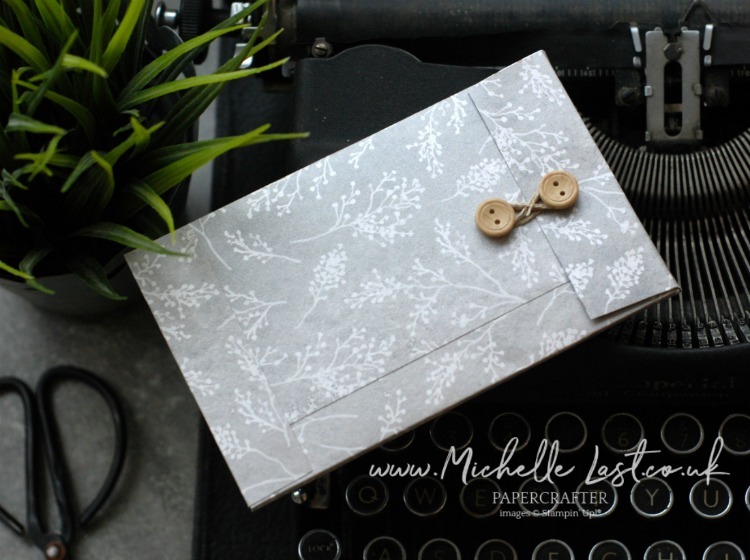 I used the Frosted Floral designer series paper and created a pouch with a little depth to it to house the card. I added some buttons from the true gentleman button pack on page 199 and some linen thread to act as a fastener. I really hope my friend loves it and that it fills up an empty windowsill and makes her new house feel more like home. 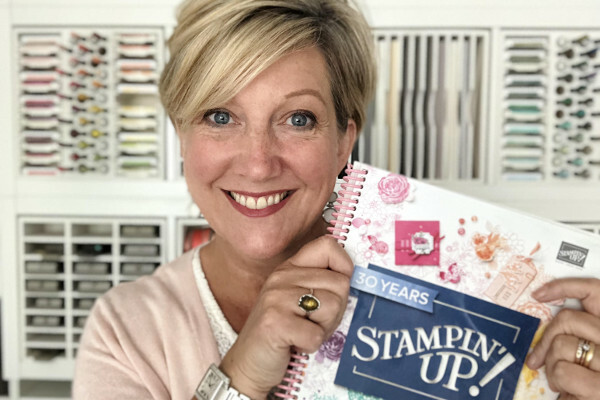 If you are interested in purchasing any Stampin Up products, the items I have used to make this card are shared below. Click any of the images to go direct to that item in my online shop and place an order. Please remember to use the monthly hostess code when spending £20+ (and less than £150+) to receive a free thank you gift from me as I really do appreciate you supporting my business.